Ask anyone in 2014 what a good fairy tale is, and they will probably point towards the works of Walt Disney – and rightly so. Classics such as Snow White and The Seven Dwarves, or in more recent times Frozen, capture the hearts and minds of children and adults alike all over. But what if they aren’t what they seem? Would you believe me if I told you that Frozen started out as a brutal tale about an evil witch kidnapping children? The Snow Queen is a classic tale that was written by Hans Christian Andersen in 1884, and at its heart it is a tale about good and evil, from the perspectives of two children. Although Frozen is based on this classic, it certainly tells a different story. In The Snow Queen, the titular character is the evil villain, however in Frozen the same character is the beautiful queen called Elsa, who treats her powers as a curse. The Snow Queen is a benevolent, powerful and dangerous being to be feared, yet Elsa is a misunderstood woman who, after all, only needed the love of her sister to stop chaos ensuing. There are common themes through both representations, but ultimately one thing can be seen – time has changed this classic fairy tale. What used to be a dark tale of good vs. evil is now a light-hearted flick (with comic relief snowman included). So what has changed? Do today’s audiences only want these fairy tales, and are the dark morals of old stories not appreciated any more? Looking at the latest details for Disney’s Maleficent, perhaps the darker side of these fairy tales has not been lost to the ages. Thought of as one of the most sinister Disney villains, Maleficent is fairly unknown. During Sleeping Beauty she is pretty horrible, cursing the poor Princess Aurora to die before her 16th birthday. But, low and behold, good triumphs evil and the Princess is saved by the handsome Prince Phillip, etc etc. In Maleficent, however, it looks like the tables could be turning. Disney are returning to deliver the untold story of one of the most iconic villains to date in a retelling of the classic Sleeping Beauty, but from the perspective of Maleficent. There really is true potential here to turn the iconic fairy tale back into the darker fantasy tales of old. And this isn’t the first time this has happened. 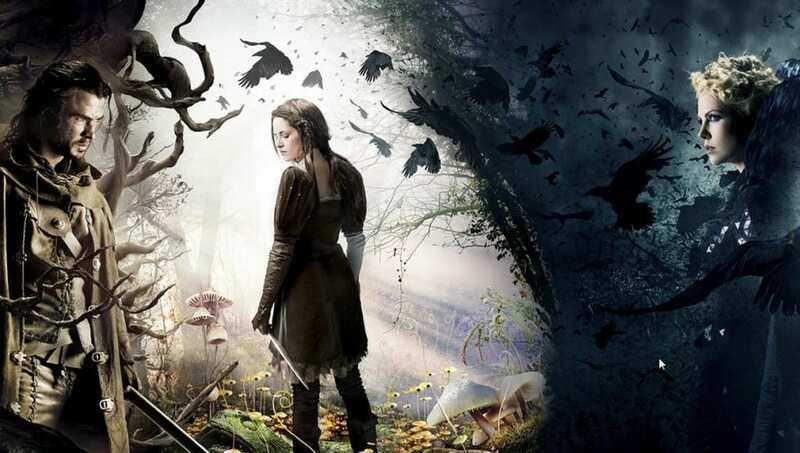 The classic story of Snow White and the Seven Dwarves was once re-imagined as the action film Snow White and the Huntsman, which shifts the focus away from the comic relief dwarves and onto the grittier side of things. And again, in the 2011 horror re-imagining of Red Riding Hood, the classic fairy tale was given a dark twist. This time, the wolf is actually a werewolf and preys on an entire town. Should the classic fairy tale formula be left alone? The original tales of Hans Christian Andersen and The Brothers Grimm definitely had darker elements to them, but the majority of modern re-tellings are much lighter and happier in tone. Do people want these versions, or should we be looking to the past for inspiration? Let us know what you think in the comments below! One of my fondest childhood cartoons is not your usual Sleeping Beauty, or even the 90s classic Fairly Odd Parents (although both are undeniably fantastic), I actually have fond memories of watching the 1988 classic Who framed Roger Rabbit on an old video tape over and over. Who framed Roger Rabbit is a fantasy comedy film, part live action, part animated ‘toons’. Starring the late Bob Hoskins alongside Christopher Lloyd as well as Donald Duck, Betty Boop and Tweety Bird. In the 1947 alternate reality cartoon characters are living beings and spend their time recording TV shows just as human actors do (see below). Bob Hoskins stars as Eddie Valiant; a heavy drinker who resents toons since his brother, Teddy, was killed when a toon dropped a piano on them. He is reluctantly hired to investigate rumours that Jessica Rabbit is having an affair with Acme. Roger Rabbit, Jessica’s partner, is distraught when he sees Valiant’s photographs of Jessica playing ‘patty-cake’ with Acme. He runs away which makes him prime suspect when Acme is found murdered the following day. The rest of the film follow Eddie, Roger and Jessica trying to find the real killer along with Acme’s will which is believed to leave Toontown to the toons – otherwise it will be sold to Cloverleaf Industries. All while trying to steer clear of Jude Doom (Christopher Lloyd) and his toon disolving‘Dip’. It’s an interesting mixture of comedy and action; entertaining as a child but equally as interesting when watching a decade later (especially seeing as you now understand the adult references). 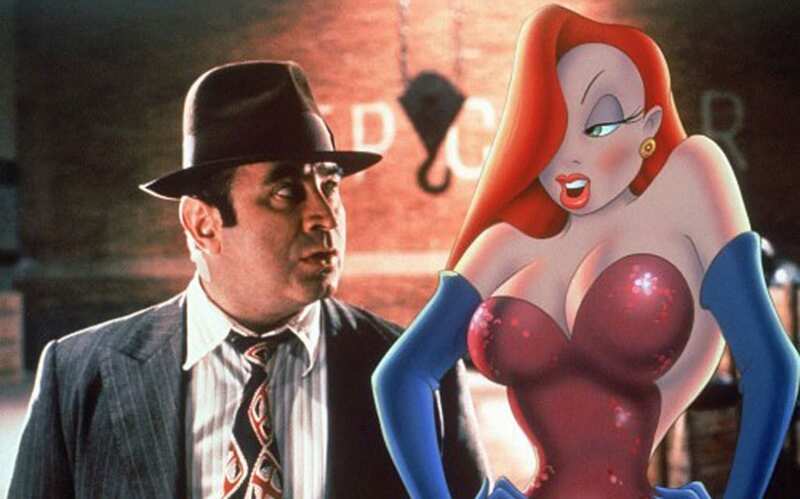 Produced by Walt Disney Studios in Elstree Studios, Hertfordshire, the live action for Who framed Roger Rabbit was of course filmed without the cartoons and took seven months. To overcome the issue of toons realistically interacting with live action props, the makers of the film used motion control machines operated to move the props in the desired way. Sometimes the same effect was achieved using string. Full sized rubber models of Roger Rabbit were used during filming so that the actors could understand how large their co-star was. Betsy Brantley stood in for Jessica Rabbit during filming, you can see her in Jessica’s performance scene in the picture below. She was removed in post-production using a split-screen device and then animation was drawn on top. Animation was led by Richard Williams and married with the live action in post-production. The process took 14 months and was done using cels (transparent sheets on which are hand-drawn animations are drawn) and optical compositing. The animators would draw on animation paper over black and white prints of the live action scenes. This film is a classic and a must see; a comedy that never tires and my favourite performance from the late Bob Hoskins. We’ve been waiting for so long – it really does feel like forever. But now, after internet speculation a-plenty, Lucasfilm has blessed us with the gift to beat all gifts. 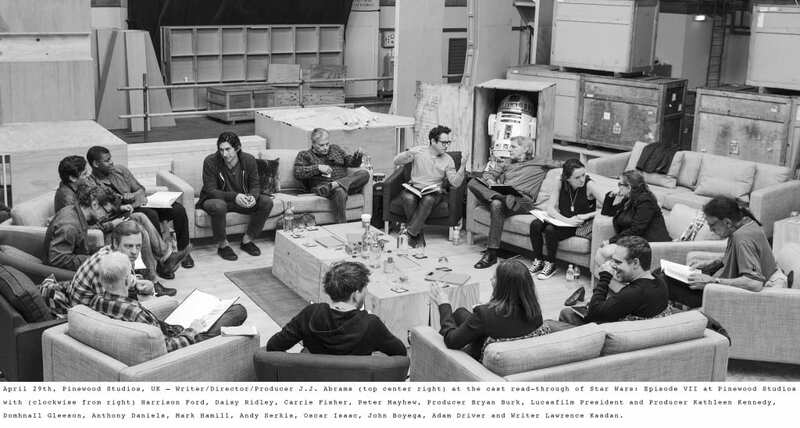 Ladies and gentlemen, the cast list of J.J. Abrams‘ Star Wars: Episode VII. So what do you think? Some expected names here (thank you, gods of Star Wars), but also some surprises. Andy Serkis? Oh yes please. 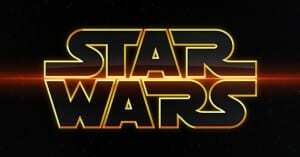 This announcement has left this Star Wars nut very happy, but what do you guys think? Hit up the comments below! As it was reported by Peter Jackson last week, the next Hobbit movie has been renamed to ‘The Hobbit: The Battle of the Five Armies’ we decided to look back at some other films whose development has been ‘difficult’ to say the least. 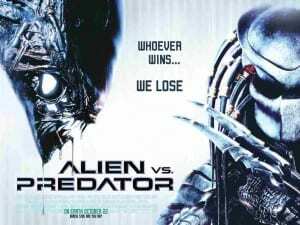 Released in 2004 after more than a decade of different scripts, changes to the cast, false starts, orphaned tie-ins, several series of video games and even promotions of the movie. 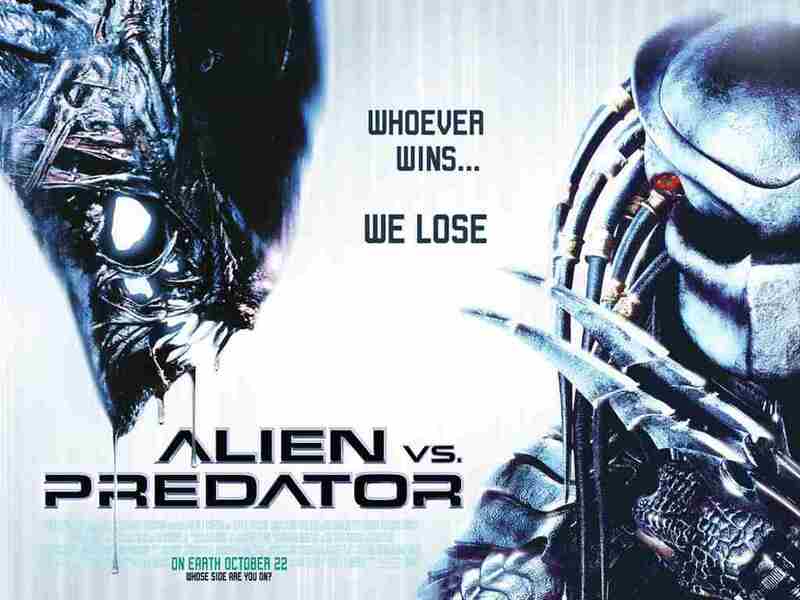 The screenplay for the oscar winning film was written 1992 by Craig Borten. It took 10 different versions of the script to finally persuade a production company to pick it up. It was then unable to secure financial backing, going through three different directors before Jean-Marc Vallée signed up and eventually released it in 2013. Originally planned to be a biography film of the author Hans Christian Anderson (Yawn!!) before it was green lit by Disney to become an adaptation of the ‘Snow Queen’. The film then went into development hell twice, the second time in 2010 due to the difficulty of making the story of the Snow Queen work. 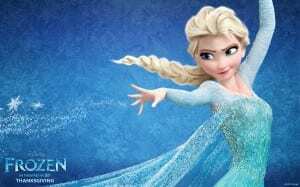 It wasn’t until Disney bought in Jennifer Lee, writer of Wreck-It Ralph, as co-director, who decided to make the Snow Queen character of Elsa into one of the film’s protagonists. Martin Scorsese first started trying to get Gangs of New York made in 1978. He finally did so in 2002. 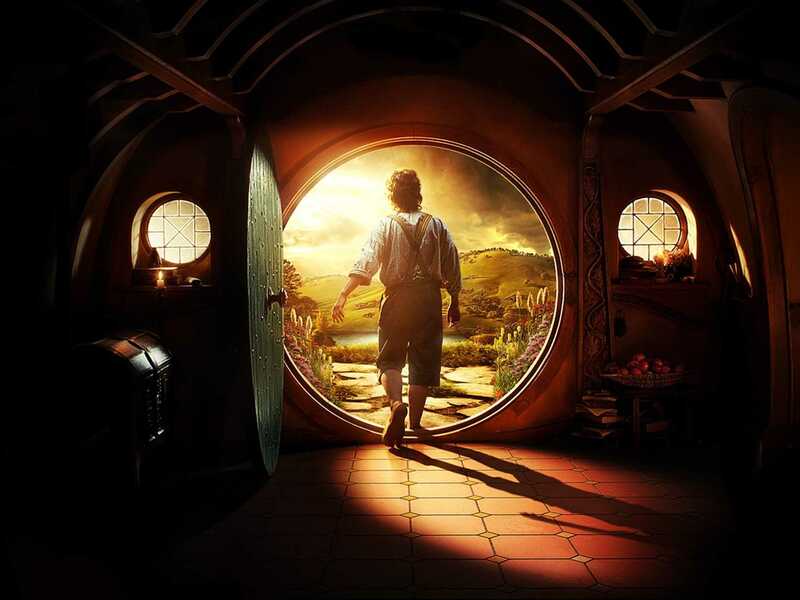 The Hobbit went through development hell, before finally being green lit.The film then suffered additional problems involving creative control and the studio’s refusal to allow filming to take place in New Zealand, where the preceding film series The Lord of the Rings had been shot. 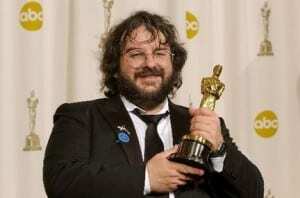 This was a deal-breaker for director Guillermo del Toro, who left the project. Peter Jackson retook control of the project and split it into three films, the first of which was released in December 2012. Quentin Tarantino announced his plans to shoot a World War II movie titled Inglourious Basterds shortly after the 1997 release of Jackie Brown. As of 2007, he was still working on the script. The film began shooting in late 2008 and was released in August 2009. Inglourious Basterds was Tarantino’s most commercially successful film until his spaghetti western homage Django Unchained was released three years later. The film had been in development since 1990 at Universal Pictures, 20th Century Fox and New Line Cinema, until the rights were reacquired by Marvel Studios in 2006. The project was Marvel’s first self-financed film, being distributed by Paramount Pictures. The script was originally written by multiple writers and the film and attached to direct were several directors, including Joss Whedon, Quentin Tarantino and Nick Cassavetes. 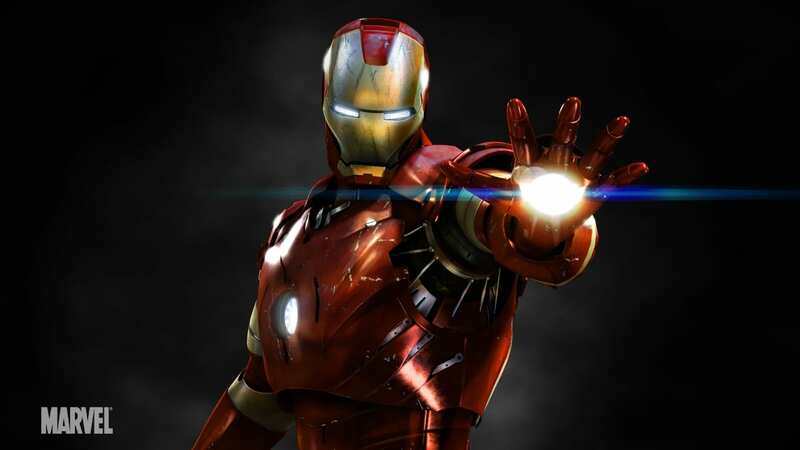 Originally, actor Tom Cruise was in talks to play the role of Tony Stark, before the role went to Robert Downey Jr. after Jon Favreau was finally hired as director. 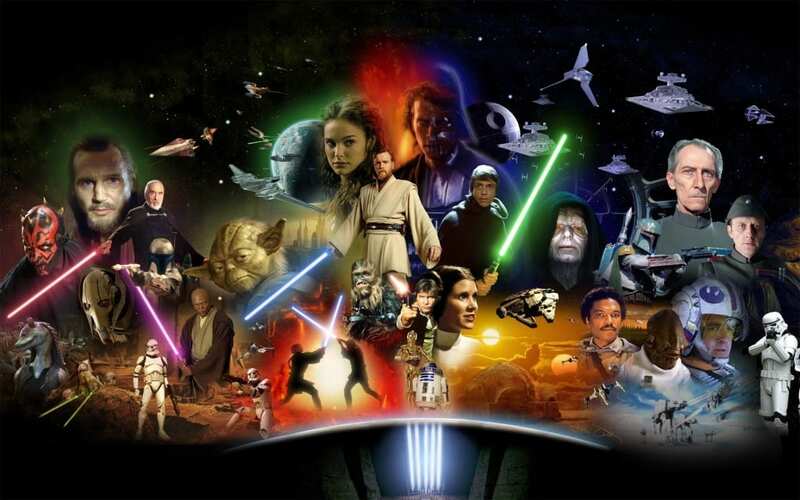 The Star Wars sequel trilogy remained in development hell beginning in 1983 since the concept was born in 1975. Even though the prequel trilogy was created with the films released in 1999, 2002 and 2005, the sequel trilogy was changed and denied for several years. 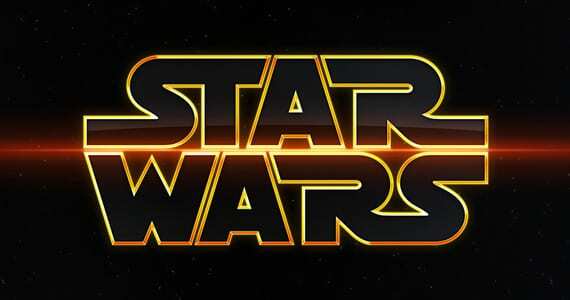 The trilogy was brought back in 2012 after Disney’s purchase of Lucasfilm, starting with Star Wars Episode VII, which is scheduled for a 2015 release. 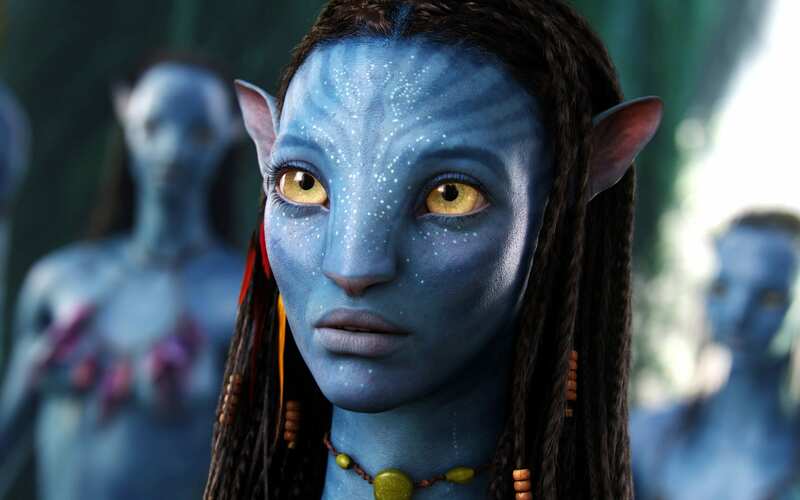 James Cameron has previously stated that his idea for the story of Avatar was ready before he even began filming Titanic in 1996 but that the technology needed to make the film simply didn’t exist. Production company Fox eventually backed out of the film in 2006 due to budgetary reasons, it wasn’t until Ingenious Media offered to back more than half of the $237 million needed for the film that Fox returned to the project which went on to become the highest grossing film of all time. There is something about either Peter Jackson or J.R.R Tolkien and movies that simply does not work. Throughout all six of the films that Jackson has been responsible for bringing to the big screen there have been major problems throughout the entire production. The rights to a live action adaptation of The Lord of the Rings were sold to United Artists shortly before J.R.R Tolkien’s death in 1973; it wasn’t until 1994 that Peter Jackson was given approval to begin shooting. The first film was not released until 2001. The National Film Registry is a collection of films selected for preservation in the Library of Congress by the United States National Film Preservation Board. Established in 1988, the board is given the responsibility of selecting up 25 films that are either “culturally, historically or aesthetically significant films” annually, in a bid to “showcase the range and diversity of American film heritage to increase awareness for its preservation”. All films must be at least 10 years old before they are available for selection. A film is eligible regardless of length, style and purpose and an official theatrical release is not compulsory criteria to be selected. The Registry contains documentary films, shorts, experimental films, news reels, silent films, films out of copyright, music videos and many, many more. As of 2013, the National Film Registry contains 625 films, all considered to be deserving of recognition, preservation and access by future generations. Some of the most creative, innovative and awe-inspiring works are contained within the protecting arms of the Registry. 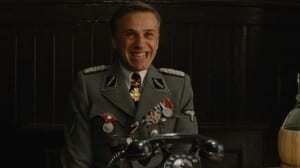 However, of the several hundred films selected, 5 are considered more prestigious than all the rest. As mentioned earlier, a film must be at least 10 years old before it can be considered for selection. The earliest listing is Newark Athlete (1891) and the latest Decasia (2002). Only 5 films have ever been selected in its first year of eligibility, a feat which is now regarded as a major honour amongst American film makers.